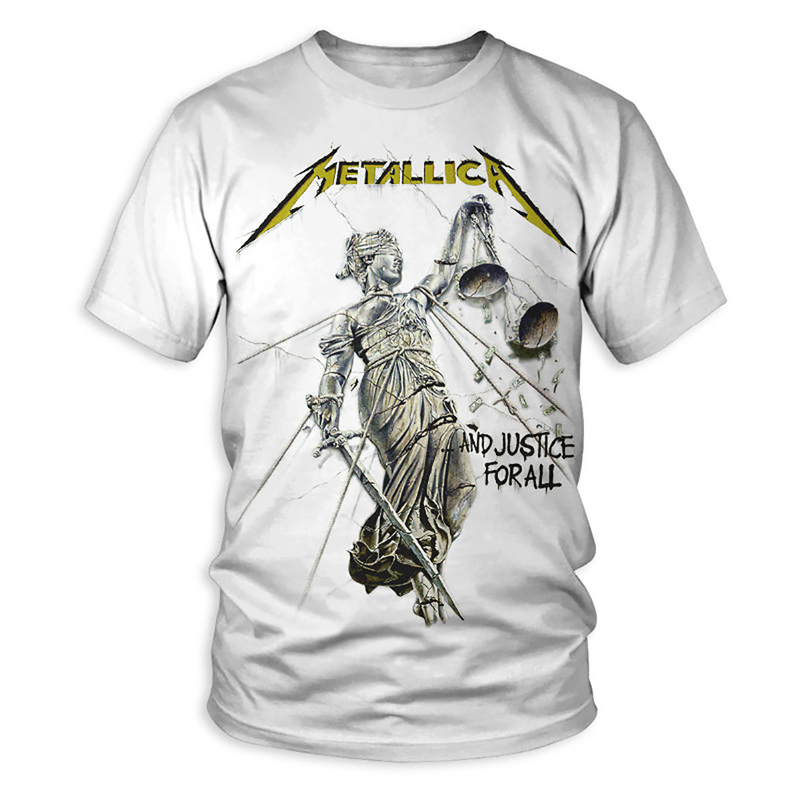 Metallica’s 1988 album, ...And Justice For All, is an undisputed heavy-metal classic. Celebrate the enduring thrash mastery of songs like "Blackened," "One" and "Harvester of Sorrow" with this tee emblazoned with the LP's iconic cover art, illustrated by Stephen Gorman. An essential piece in any metalhead's shirt collection. 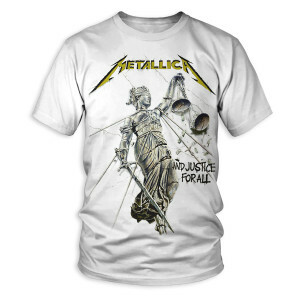 Front print features artwork from 1988's …And Justice For All album.